One of the most difficult aspects of working at the nanoscale is actually seeing the object being worked on. Biological structures like viruses, which are smaller than the wavelength of light, are invisible to standard optical microscopes and difficult to capture in their native form with other imaging techniques. A multidisciplinary research group at UCLA has now teamed up to not only visualize a virus but to use the results to adapt the virus so that it can deliver medication instead of disease. In a paper published last week in the journal Science, Hongrong Liu, a UCLA postdoctoral researcher in microbiology, immunology and molecular genetics, and colleagues reveal an atomically accurate structure of the adenovirus that shows the interactions among its protein networks. The work provides critical structural information for researchers around the world attempting to modify the adenovirus for use in vaccine and gene-therapy treatments for cancer. To modify a virus for gene therapy, researchers remove its disease-causing DNA, replace it with medications and use the virus shell, which has been optimized by millions of years of evolution, as a delivery vehicle. Lily Wu, a UCLA professor of molecular and medical pharmacology and co-lead author of the study, and her group have been attempting to manipulate the adenovirus for use in gene therapy, but the lack of information about receptors on the virus’s surface had hampered their quest. To better visualize the virus, Wu sought assistance from Hong Zhou, a UCLA professor of microbiology, immunology and molecular genetics and the study’s other lead author. Zhou uses cryo-electron microscopy (cryoEM) to produce atomically accurate three-dimensional models of biological samples such as viruses. Wu, who is also a researcher at the California NanoSystems Institute (CNSI) at UCLA, learned of Zhou’s work after he was jointly recruited to UCLA from the University of Texas Medical School at Houston by the UCLA Department of Microbiology, Immunology and Molecular Genetics and UCLA’s CNSI. About a year ago, once the transfer of Zhou’s lab was complete, Sok Boon Koh, one of Wu’s students, sought out Zhou’s group for their expertise and initiated the collaboration. Working in the Electron Imaging Center for Nanomachines at the CNSI, a lab run by Zhou, the researchers used cryoEM to create a 3-D reconstruction of the human adenovirus from 31,815 individual particle images. “Because the reconstruction reveals details up to a resolution of 3.6 angstroms, we are able to build an atomic model of the entire virus, showing precisely how the viral proteins all fit together and interact,” Zhou said. An angstrom is the distance between the two hydrogen atoms in a water molecule, and the entire adenovirus is about 920 angstroms in diameter. Armed with this new understanding, Wu and her group are now moving forward with their engineered versions of adenovirus to use for gene therapy treatment of cancer. The group is working with the adenovirus because previous research has established it as a good candidate for gene therapy due to its efficiency in delivering genetic materials inside the body. The virus shell is also a safe delivery vehicle; tests have shown that the shell does not cause cancer, a problem encountered with some other virus shells. The adenovirus is relatively non-pathogenic naturally, causing only temporary respiratory illness in 5 to 10 percent of people. CryoEM enables such a high-resolution reconstruction of biological structures because samples, in water, are imaged directly. In contrast, with X-ray crystallography (the conventional technique for atomic resolution models of biological structures), researchers grow crystal structures replicating the sample and then use diffraction to solve the crystal structure. This technique is limited because it is difficult to grow crystals for all proteins, samples for x-ray crystallography need to be very pure and uniform, and crystals of large complexes may not diffract to high resolution. These limitations resulted in critical areas of the adenovirus surface being unresolved using x-ray crystallography. 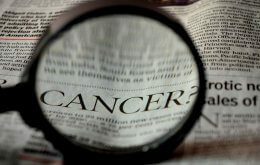 The study was funded by the National Cancer Institute and the U.S. Department of Defense.